Finally it has cooled enough for me to start parading my hosiery collection. 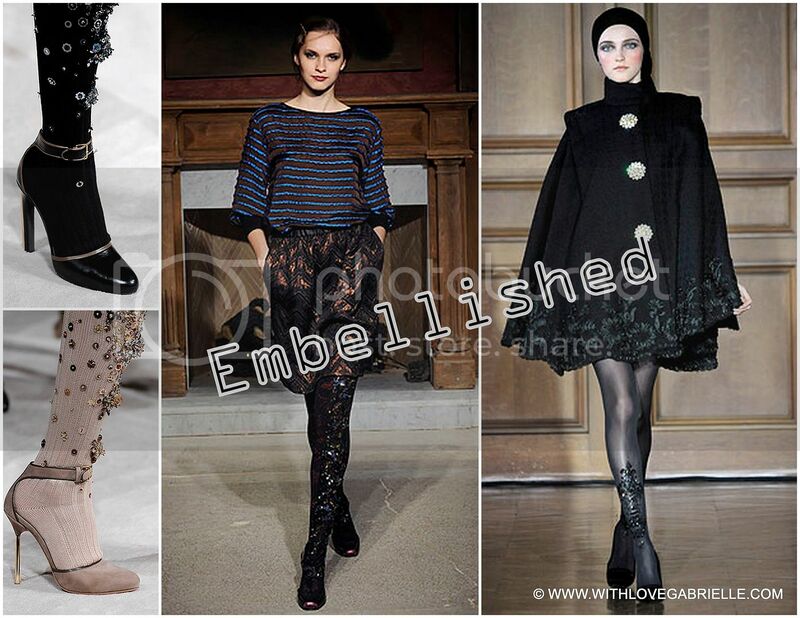 I've always adored variety of hosiery as to me they have always been a way to play-up an outfit. Some prefer awesome jewelry I preferred hosiery. 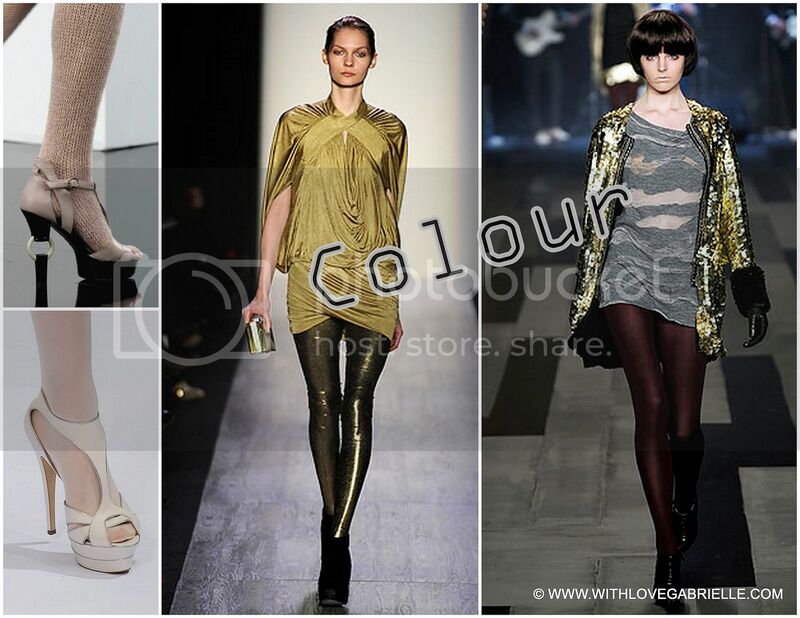 Finally, this fall 09 runways were packed with all kinds of hosiery making legs one of the key accessories! This observation of mine was further re-assured by a wonderful article I found in Flare magazine which strictly focused on.... of course, hosiery!!! My personal favorites have been variety of blacks and neutrals in all sorts of patterns and materials, however this season I have finally enough guts to try out color!!!But... Not yet! I have yet to find a pair that will suit me, but for now... I am taking baby steps wearing sheer black pantyhose with grey and blue polka dots :) Tiny specks of color but a huge step for me! Not overwhelming but still adds a great deal to an overall muted and neutral look. Well, I am off for some weekend fun.... wearing this outfit.